Recipes | chit. 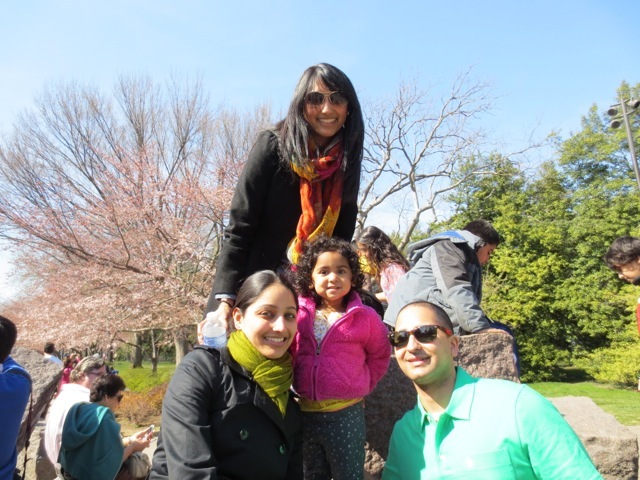 chaat. chew. I pride myself on a fully stocked pantry at all times. It comes in handy when a friend unexpectedly stops by for some wine or when I am too lazy to come with a game plan for dinner. Both of these happen several times a week. Recipe serves about 6. Adapted from Rachel Ray. 2.) 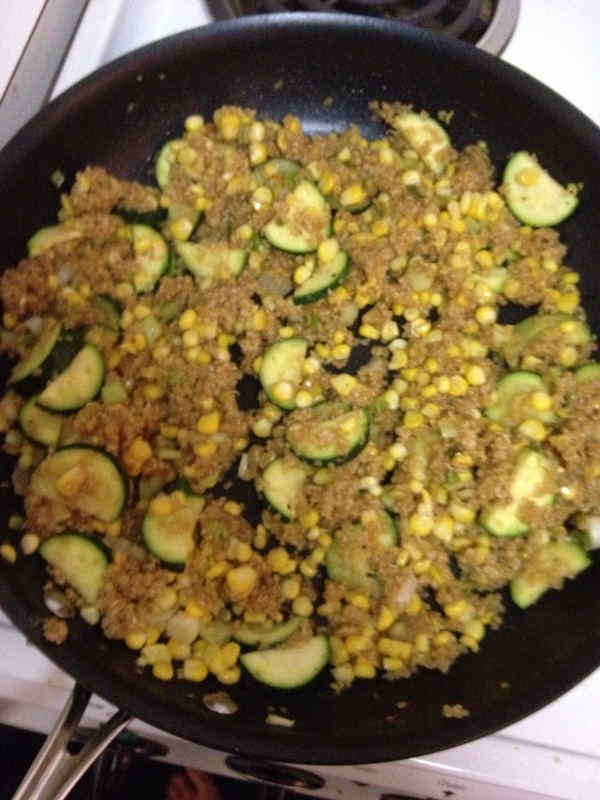 Chop zucchini, onion, garlic, and chipotle. 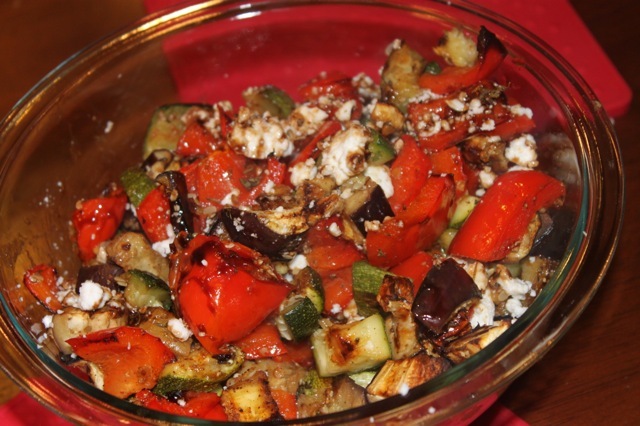 Heat EVOO and cook vegetables for about 5 minutes, until softened. 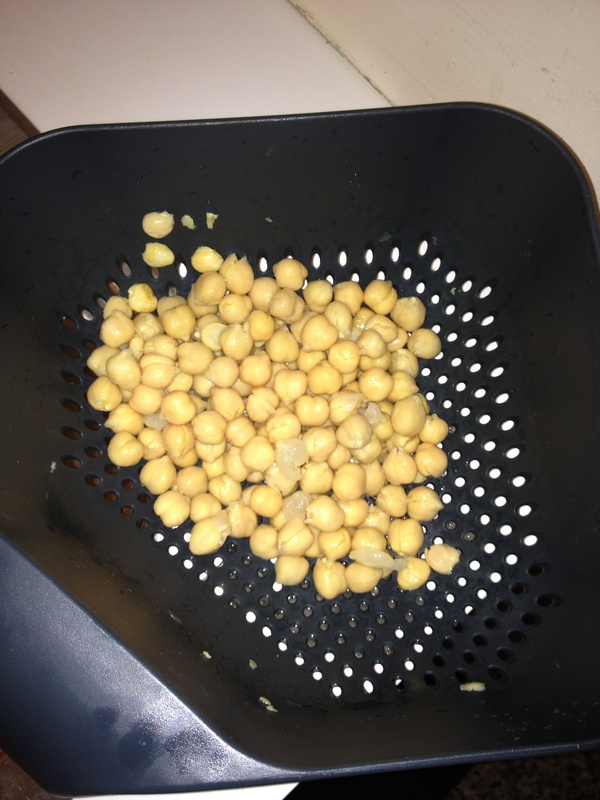 Drain and rinse both cans of beans. 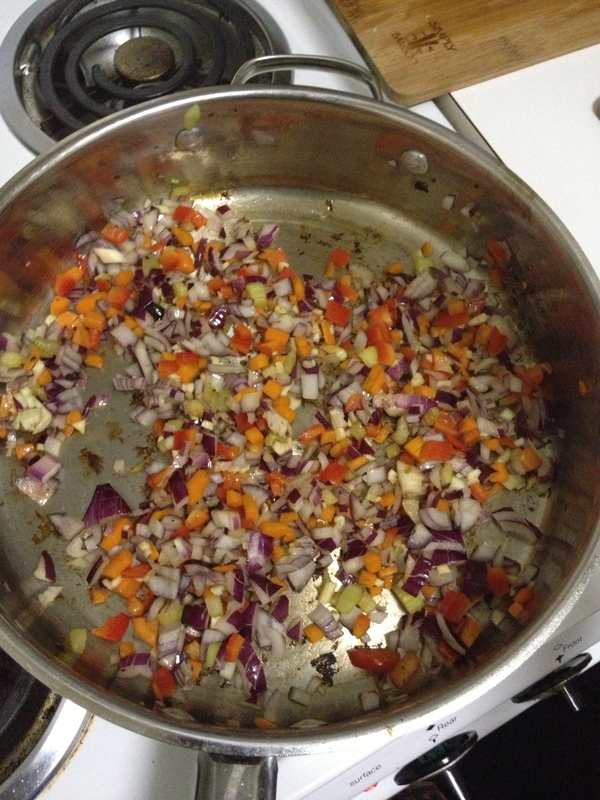 Add to the vegetables and stir until incorporated. 3.) Next add the crushed tomatoes, tomato sauce, and stock to the pot. Bring the soup to a bubble and then turn down the heat to medium. Season your chili with salt, pepper, and cumin. 4.) 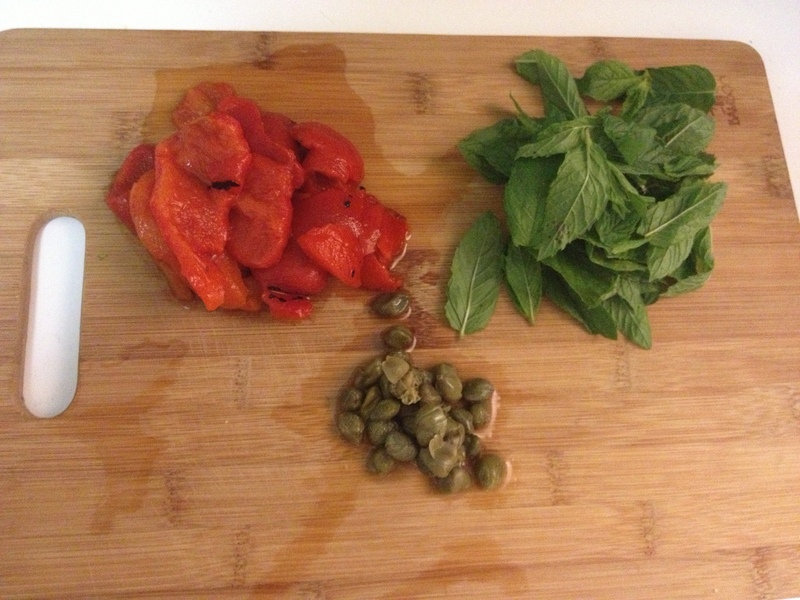 Remove skin from roasted pepper and chop. Add roasted red pepper and corn and continue to heat at medium for 15-20 minutes without lid until the chili thickens. Cook longer for desired thickness. 5.) Garnish with a dollop of Greek yogurt (healthier way to get the creaminess everyone loves from sour cream), a sprinkle of chopped cilantro leaves, and several blue corn tortillas chips. Have a bowl of chips on the table while serving. What are your pantry staples? 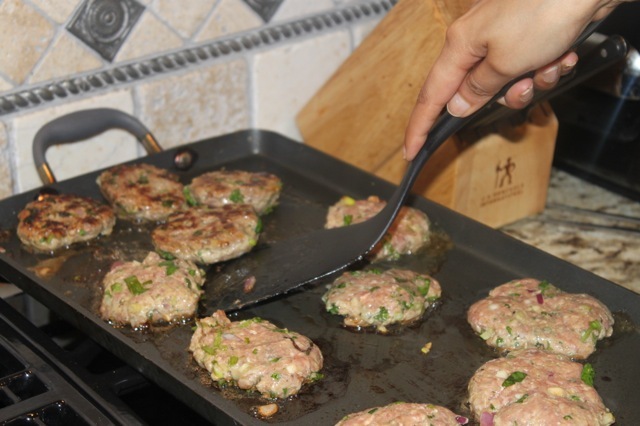 What types of meals have you made using what you have on hand at home? Recipe serves four. I suggest taking some leftovers to work for lunch. 1.) 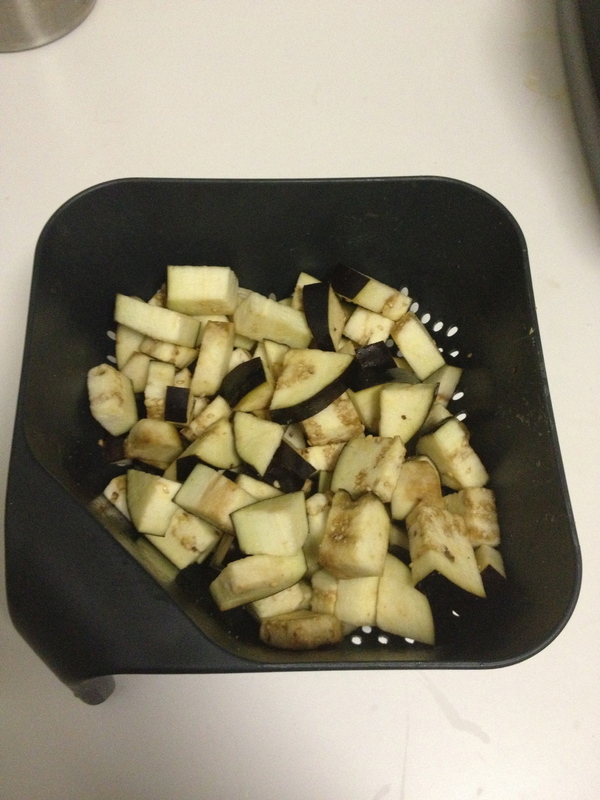 Chop your eggplant into a large dice and place into a colander. 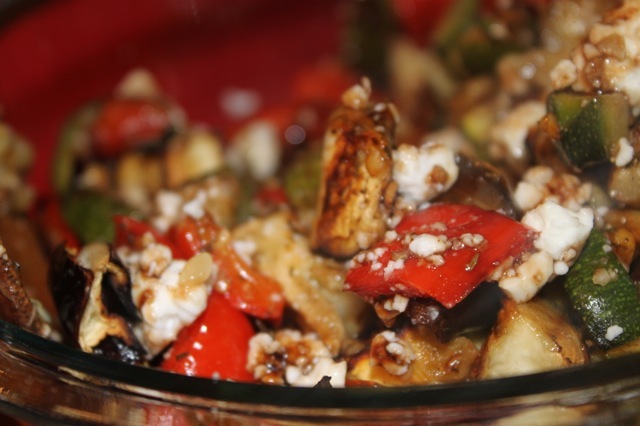 Sprinkle eggplant generously with salt and allow to sit for 30 minutes. This will help all the moisture drain. After 30 minutes, dry the eggplant with a clean kitchen towel. 2.) 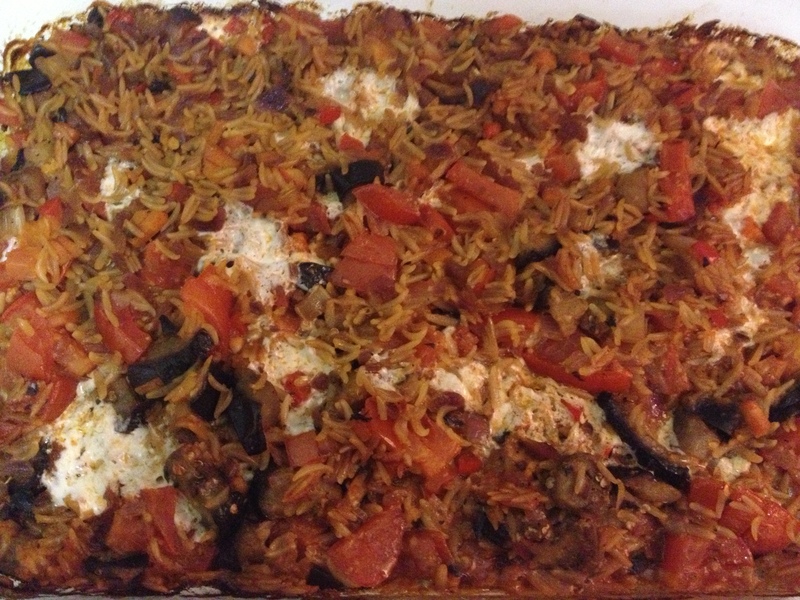 As you prepare the casserole, preheat the oven at 350 degrees. Heat a large nonstick skillets on medium-high heat with EVOO. Add the eggplant and stir fry for about 8 minutes until crispy and golden brown. 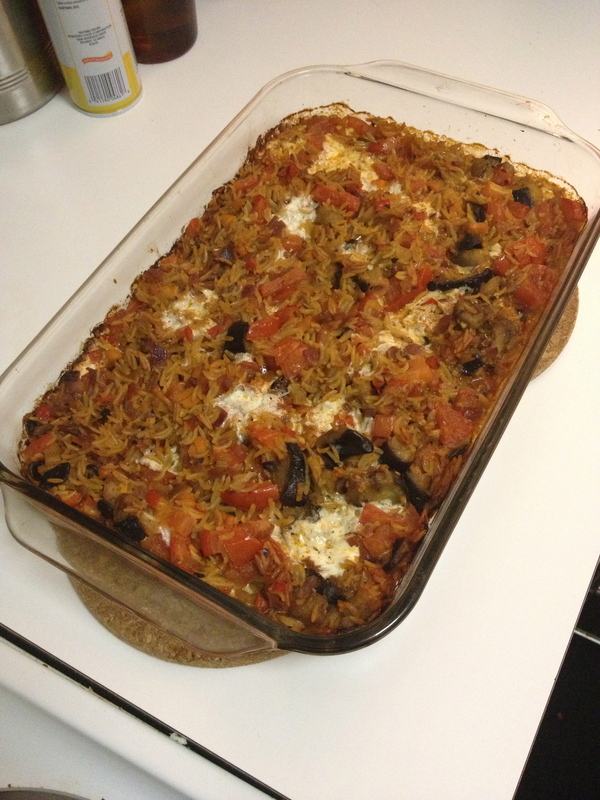 Place cooked eggplant on a paper towel lined plate for draining. 3.) 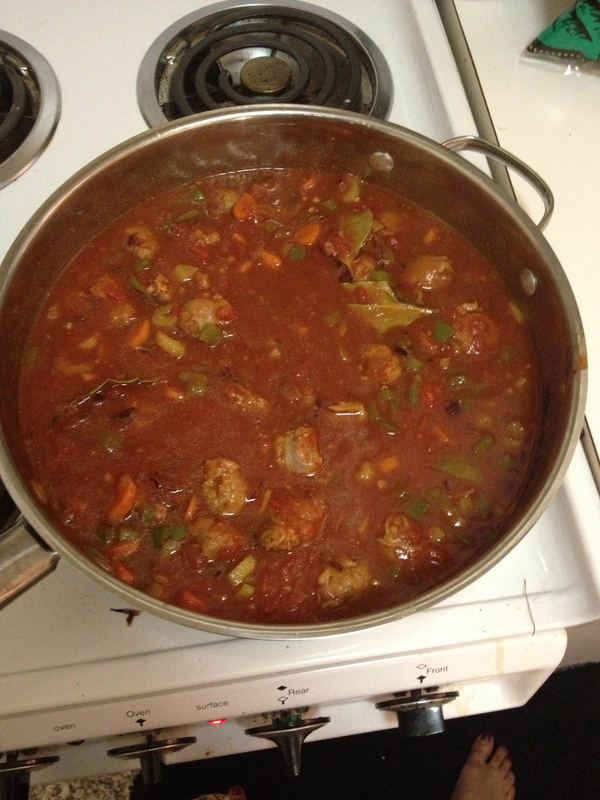 In the same pan add the celery, carrots, and red peppers and cook for 3 minutes. 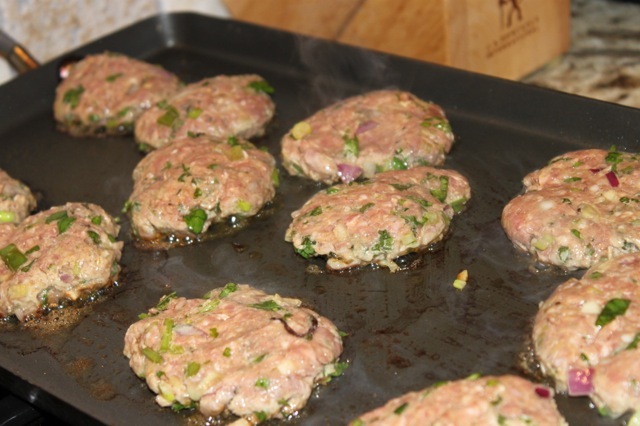 When softened, add onion and garlic and continue to cook together for 5 minutes. At this point you can knock the heat down to medium to ensure the vegetables don’t burn too quickly. 3.) 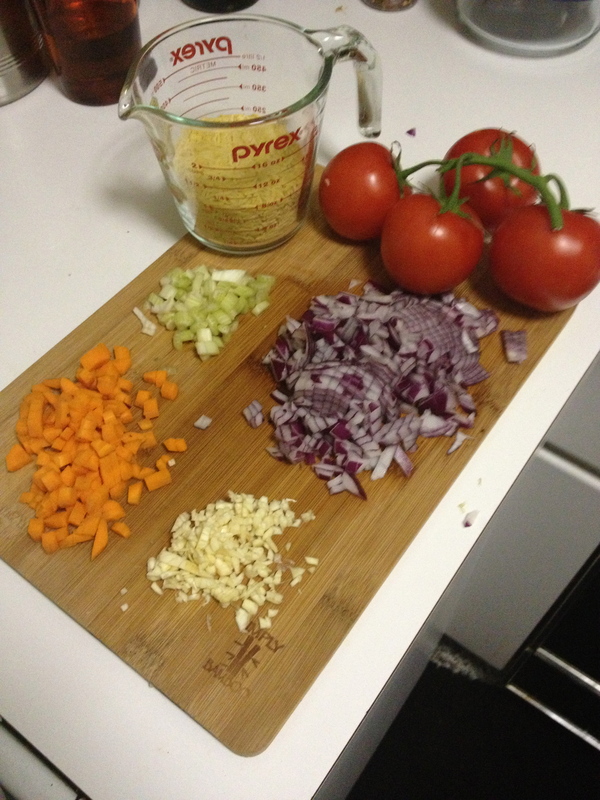 Add the orzo and tomato paste and mix together. After 2 minutes of cook time, turn off the heat. 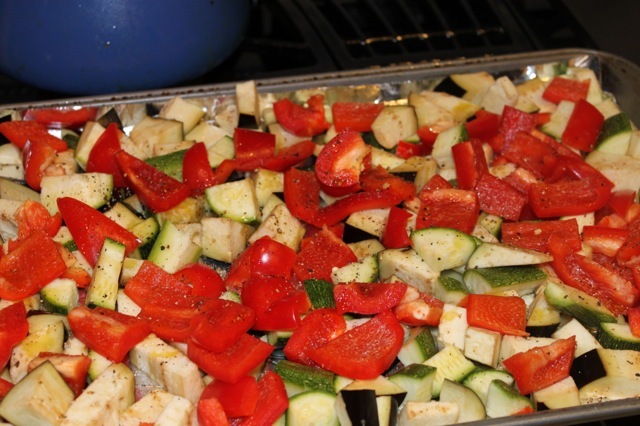 Move your pan to an unused burner on the stove and add the last of your ingredients: oregano, mozzarella, Parmesan, tomatoes, fried eggplant, stock, lemon zest, salt, pepper, and red pepper. Make sure you mix well. 4.) 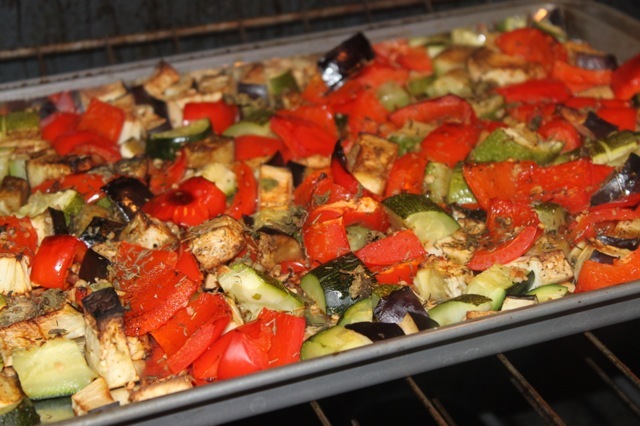 Use some cooking spray on a 8×11 casserole dish. Pour your mixture into the baking dish. Bake for 20 minutes covered with foil, and 25 additional minutes without foil. I cooked without foil for an extra 5 minutes because I liked the crunchy texture of the pasta. Minimize your time without foil if you prefer a smooth texture. Let your pasta rest for 10 minutes before serving to guests and packing your lunch. 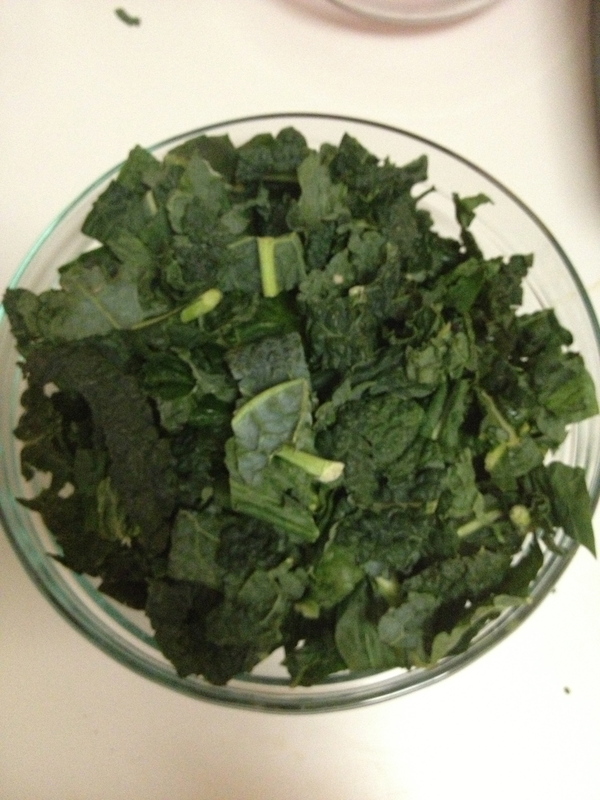 What is your favorite meal you make during a long transition between seasons? Have you been able to find ripe tomatoes in your local market now that we’re into October? 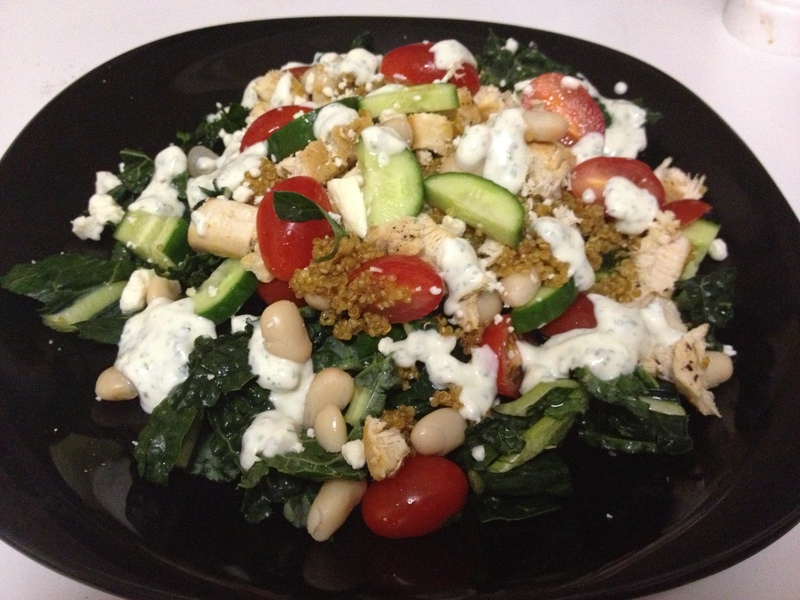 I am always on the hunt for simple, healthy weeknight meals that become my lunch the next day. When looking for healthy recipes I always look for a few things — lots of vegetables, a key protein, and something I can duplicate with ease. 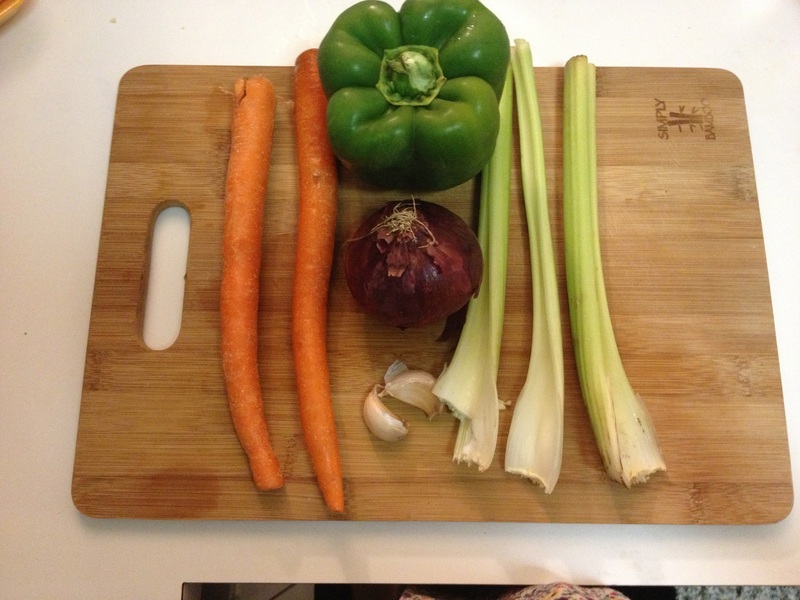 When I came across this recipe by Iowa Girl Eats, I checked off all 3 of my necessities. 2.) 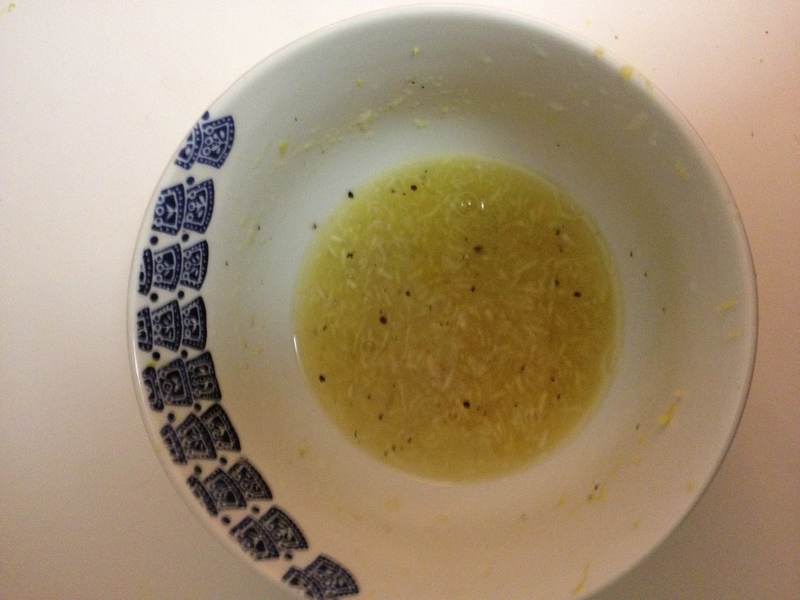 Combine the ingredients for the honey lemon dressing. 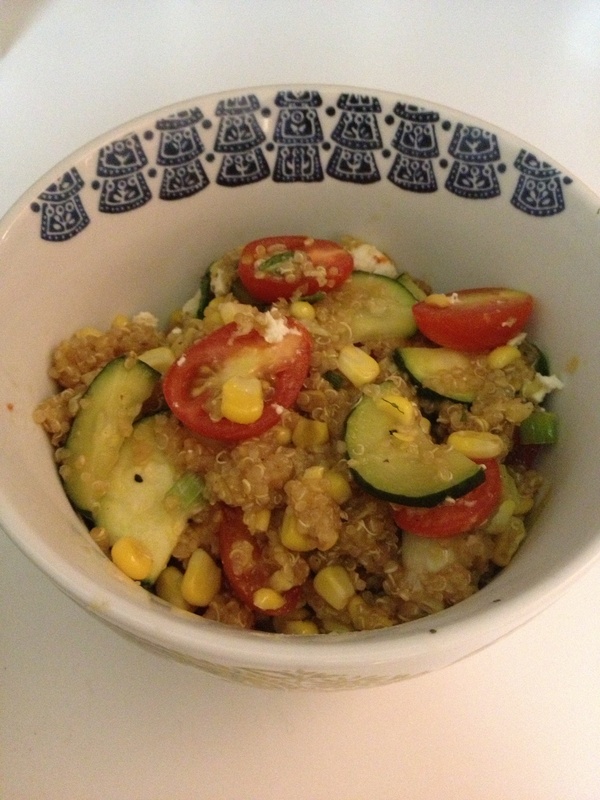 Whisk and set aside as you cook the quinoa and vegetables. 3.) 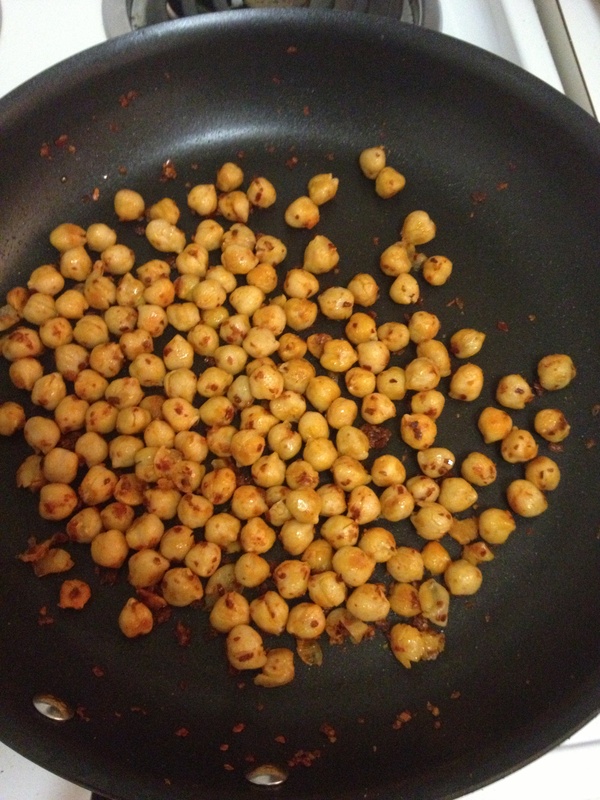 Heat EVOO in a large nonstick skillet over medium-high heat. Add garlic and saute until you smell the aroma. 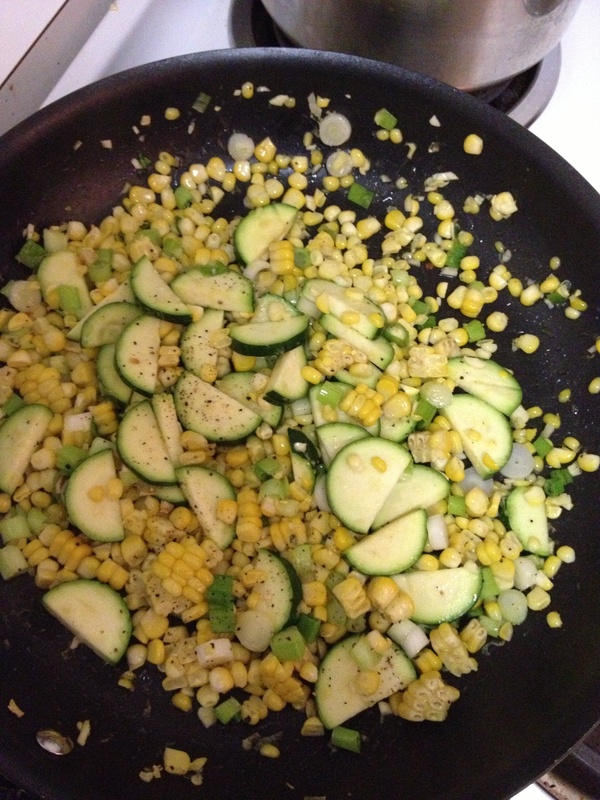 Add zucchini, corn, green onions and season with salt and pepper, to taste. 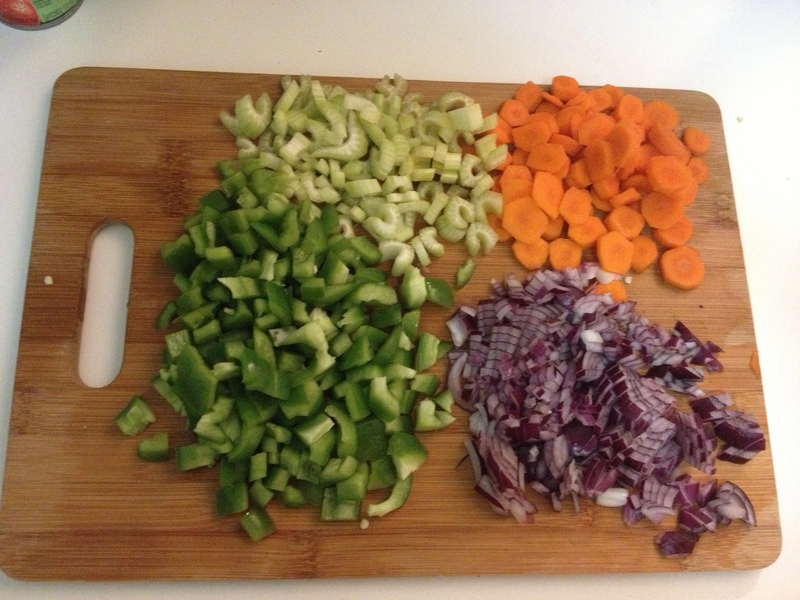 Make sure you do not overcook your vegetables as you want them to be tender. This will be about 5 minutes of cooking time. 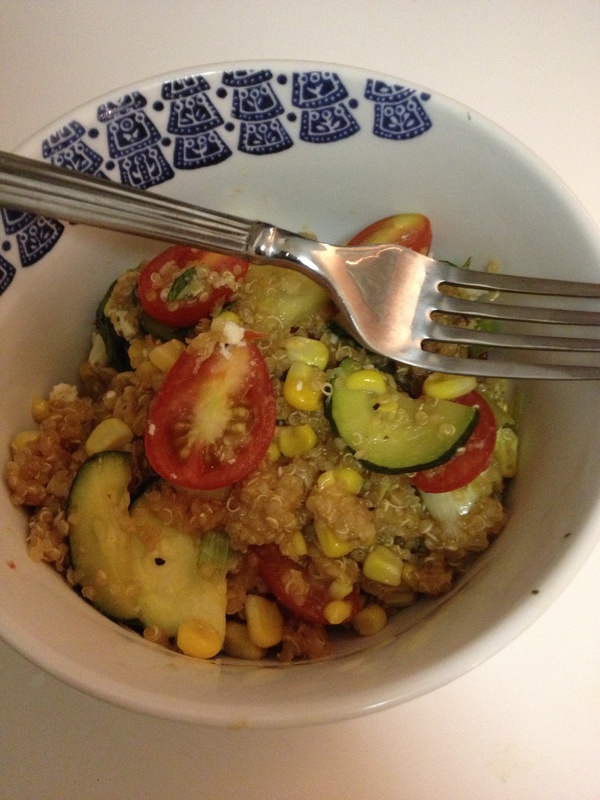 Add the slightly cooled quinoa and half the dressing into the pan and cook for one more minute. 4.) 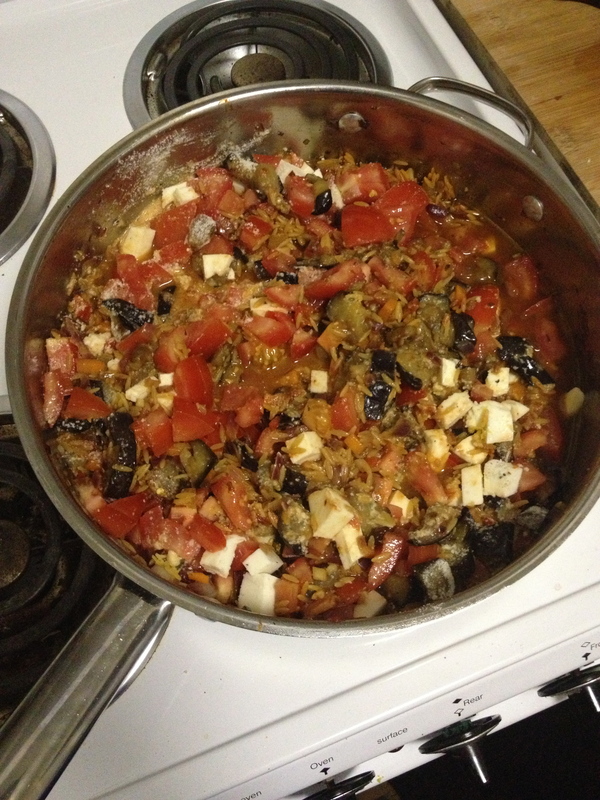 Add remaining dressing, feta cheese, cherry tomatoes, and mint to the skillet and combine evenly. 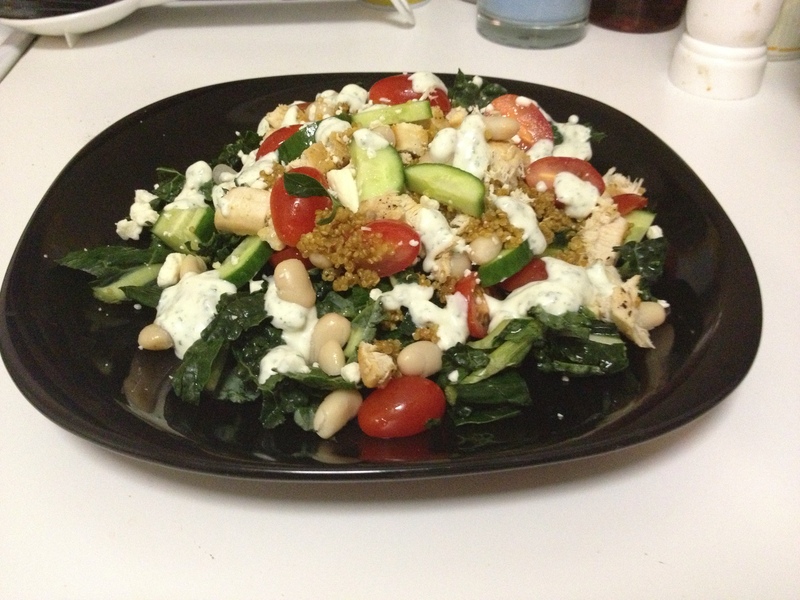 I allowed about 10-15 minutes for the dish to cool so it could be a refreshing summertime meal. Enjoy! 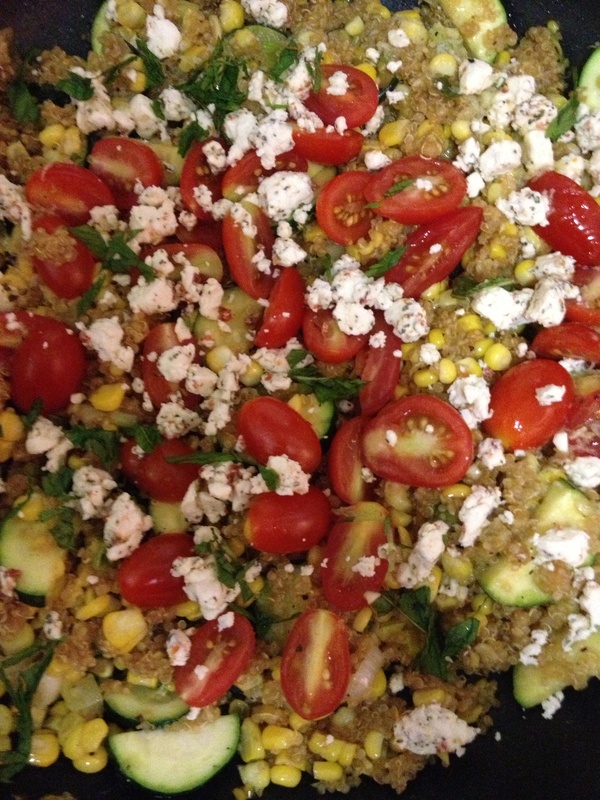 What is your favorite summertime dinner recipe? Do leftovers become lunch the next day? 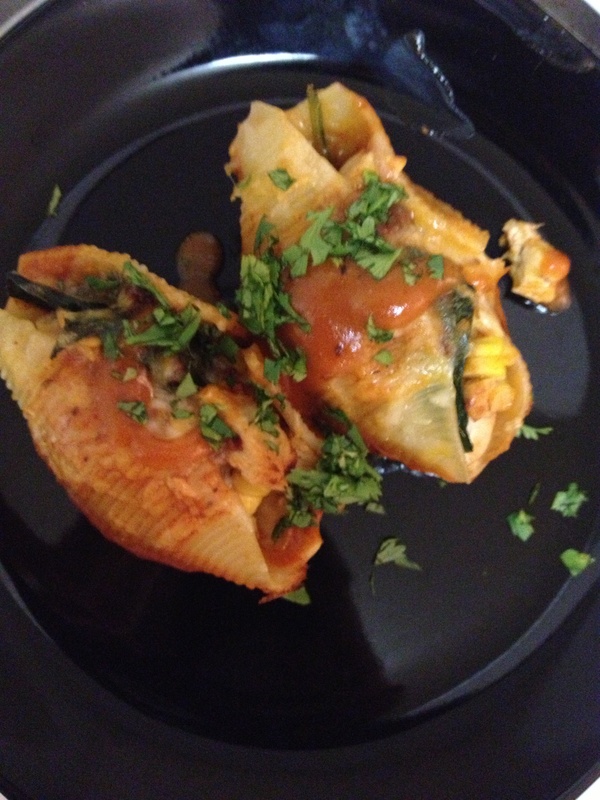 spicy chicken enchilada stuffed shells — yes, this is real. This recipe is my salute to all the amazing characteristics of Mexican and Italian food — spice, carbs, and just the right amount of cheese. 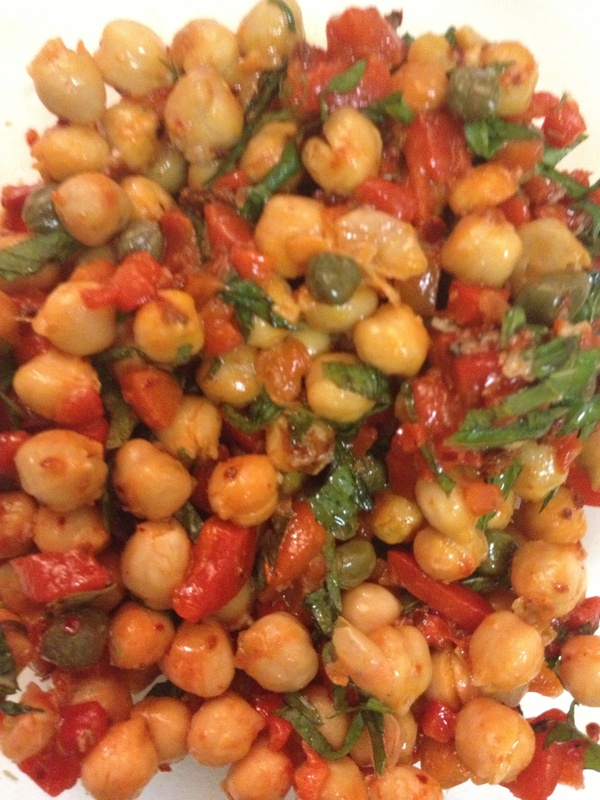 I came across this recipe on Bev Cooks and knew I had to test it out in my own kitchen. 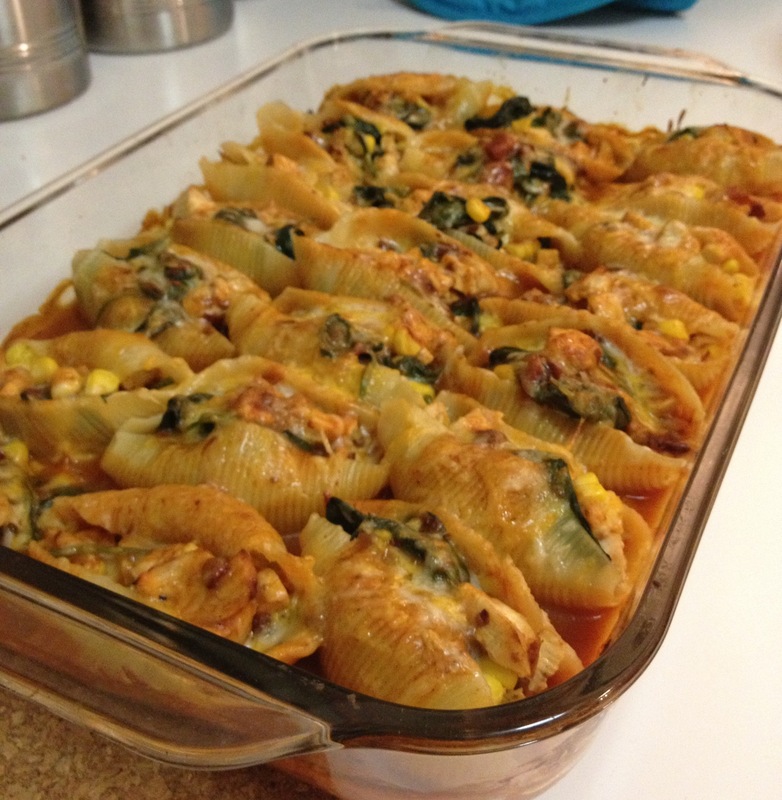 This is an excellent option for Mexican Night at the home or the next pot luck with friends. I definitely have one upped myself with this one. Bev, thank you for the inspiration. 1.) 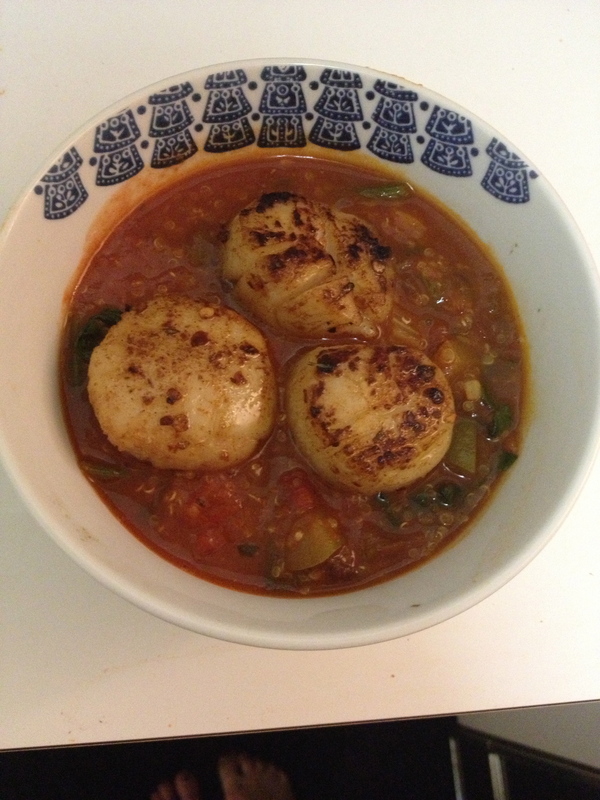 Boil water and cook jumbo shells while you prepare the enchilada sauce. 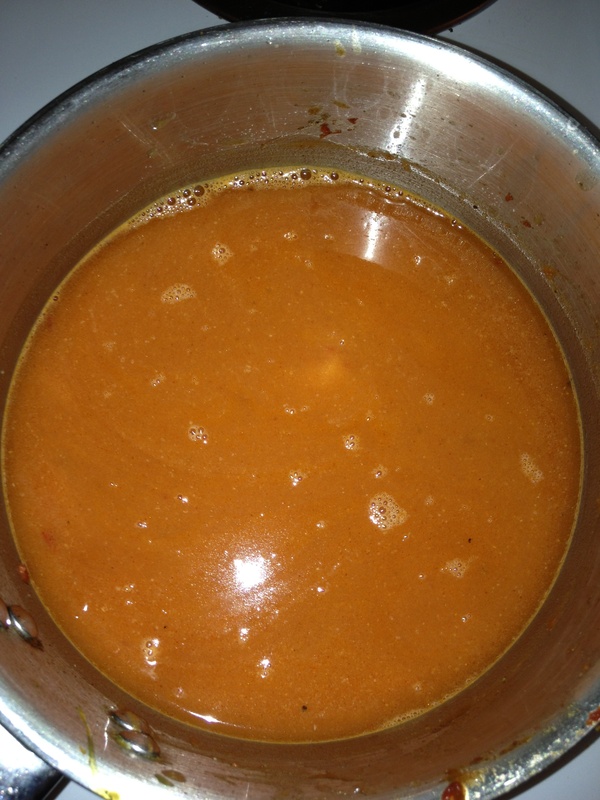 To prepare the enchilada sauce, in a saucepan, heat 2 tablespoons of oil over medium-high heat in medium saucepan. Add cumin, garlic, pepper, and 2 chipotle peppers with adobo, flour, and tomato paste. 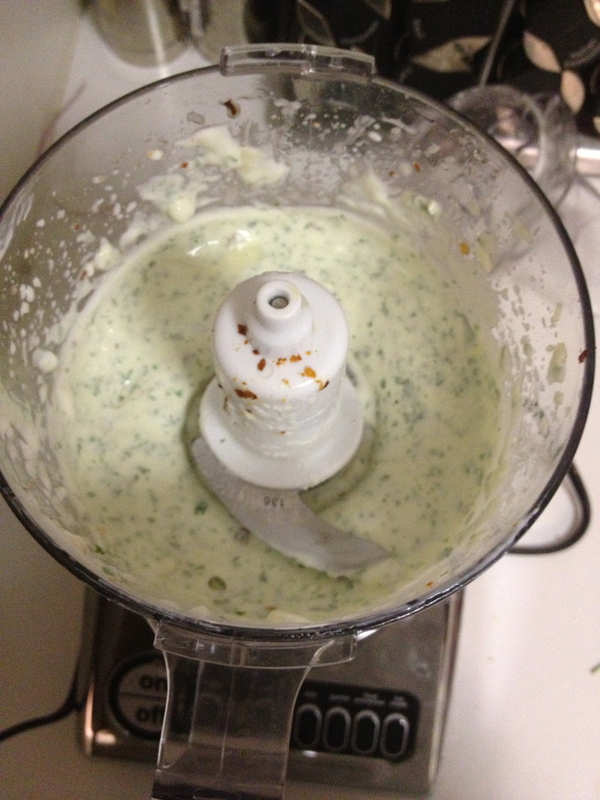 Whisk mixture constantly for about 1-2 minutes. Whisk in the broth and add a few dashes of hot sauce. 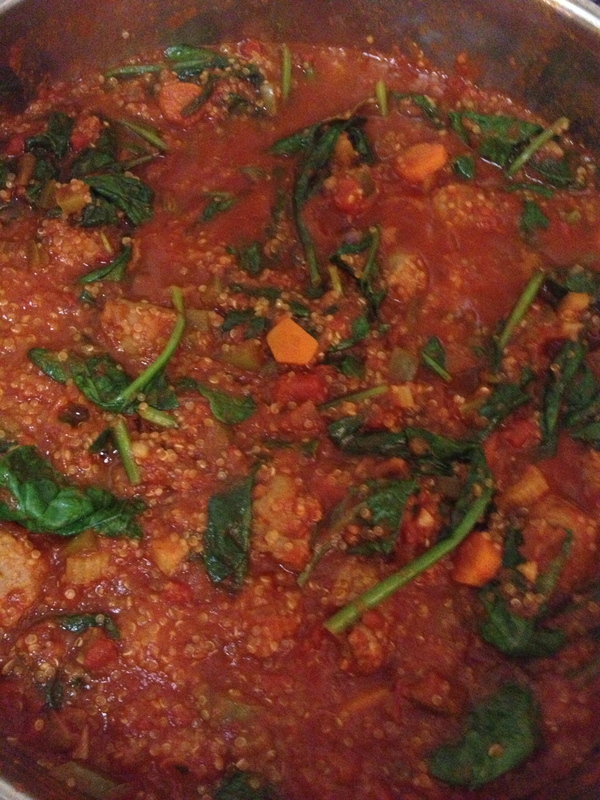 Next, bring sauce to a boil and then reduce and simmer until thickened. This will take about 8-10 minutes. Set to the side. 2.) Heat 2 tablespoons of olive oil in a skillet over medium-high heat. Sprinkle taco seasoning on both sides of chicken breasts and sear for about 6-7 minutes on each side depending on thickness. 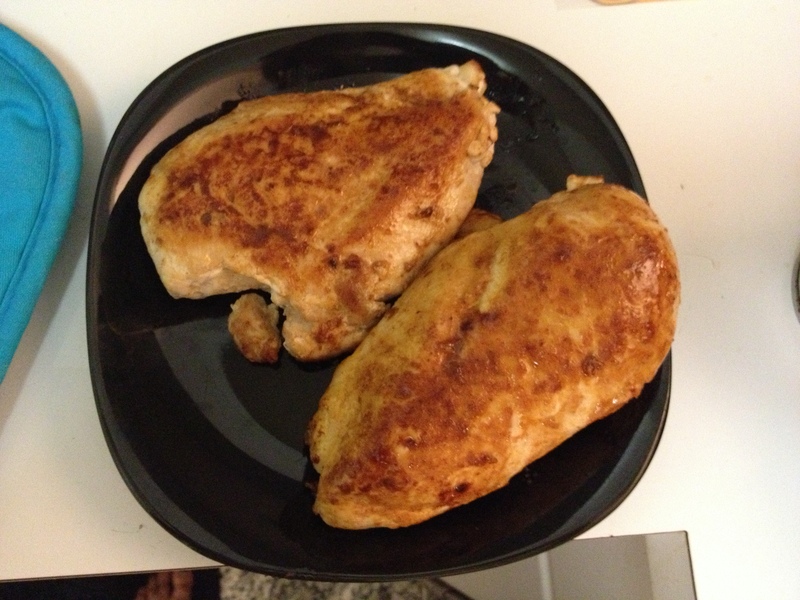 Let the chicken rest for 5 minutes and then chop breasts in small pieces. 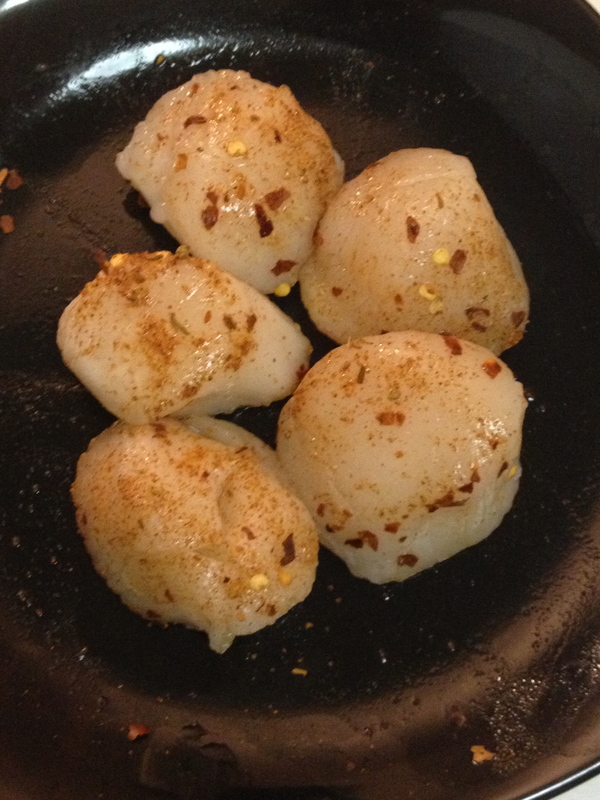 Once your shells are cooked, drain and set to the side. 3.) 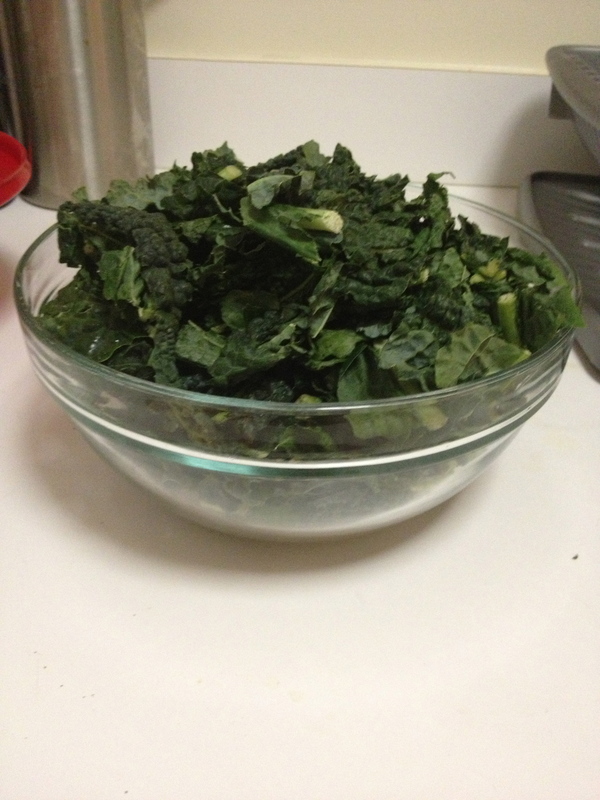 Saute fresh spinach in a large skillet until wilted. 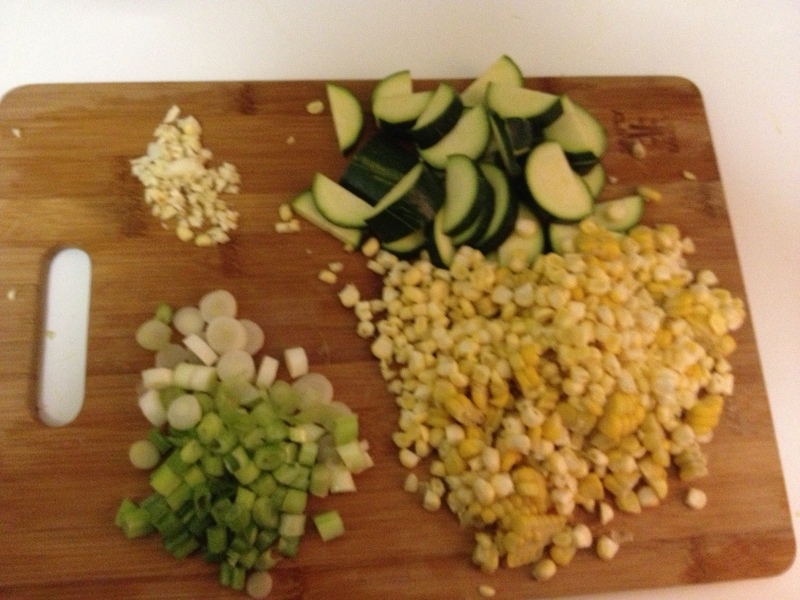 Boil ear of corn and then cut off the cob. 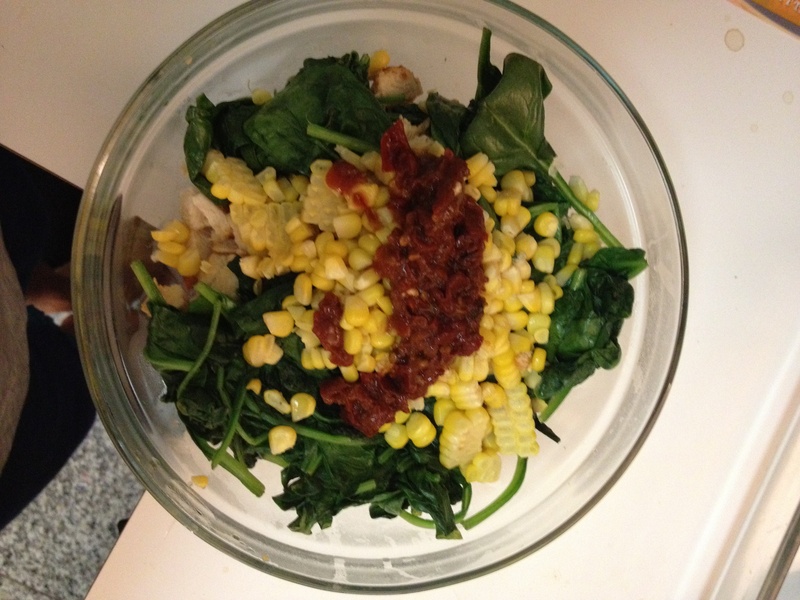 Combine chicken, spinach, and corn into a bowl. 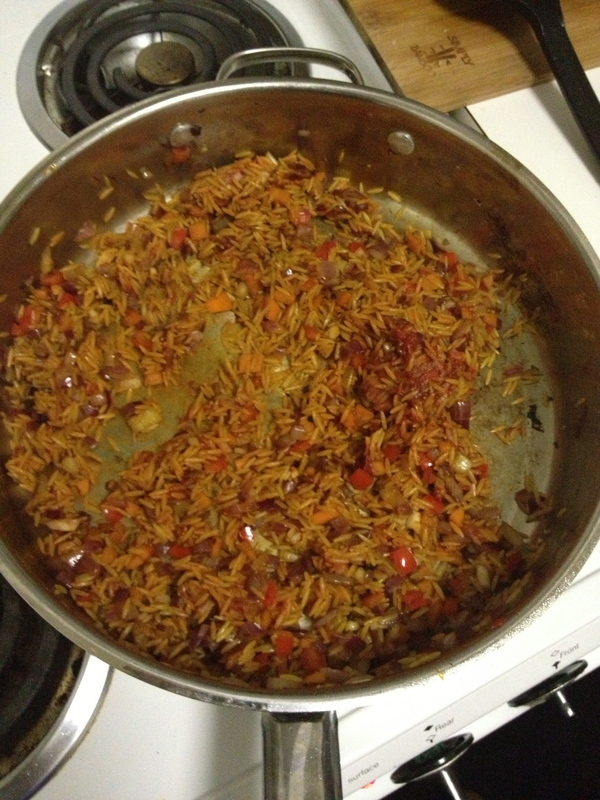 Add 3 minced chipotle peppers with adobo and mix thoroughly. Season with salt and pepper. Preheat oven to 375 degrees. 4.) 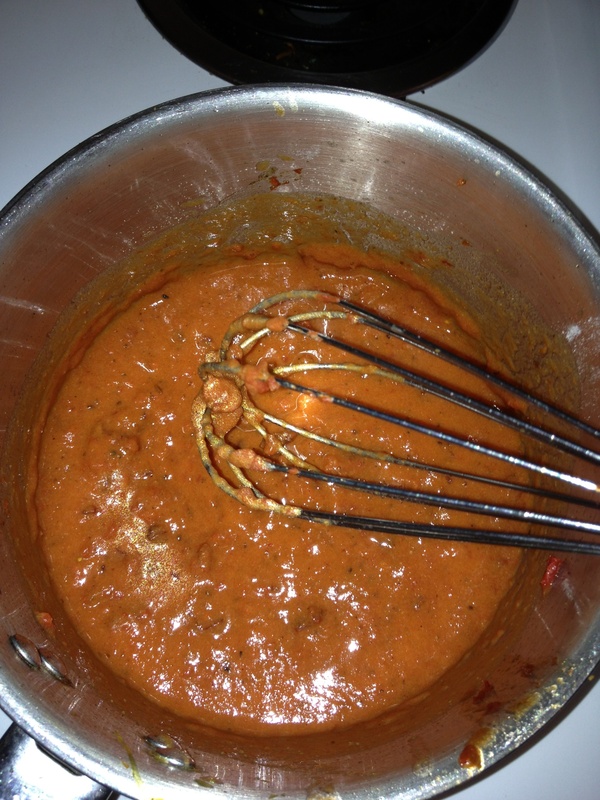 Pour 1/2 the enchilada sauce on the bottom of a 9×13 casserole dish. Make sure you coat the entire bottom of the dish heavily. 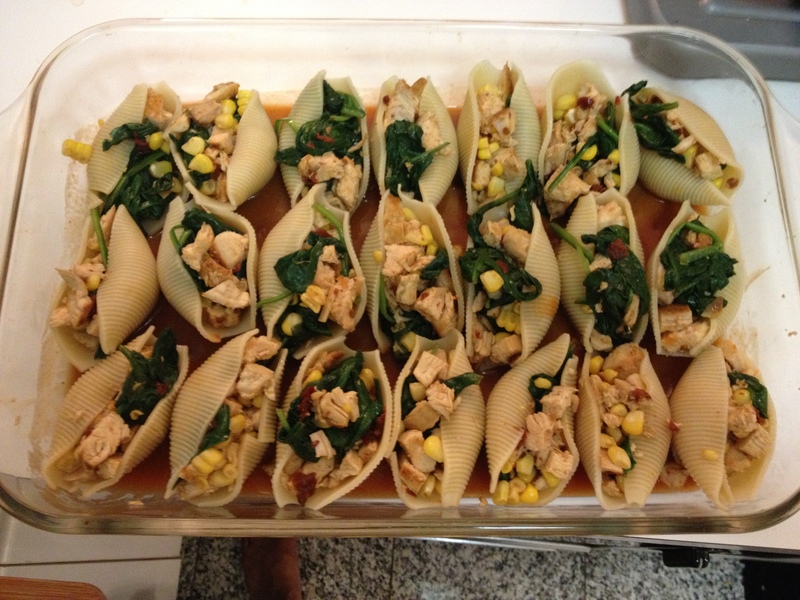 Stuff each shell with a small spoon with the chicken/spinach/corn mixture and arrange into rows in the casserole dish. 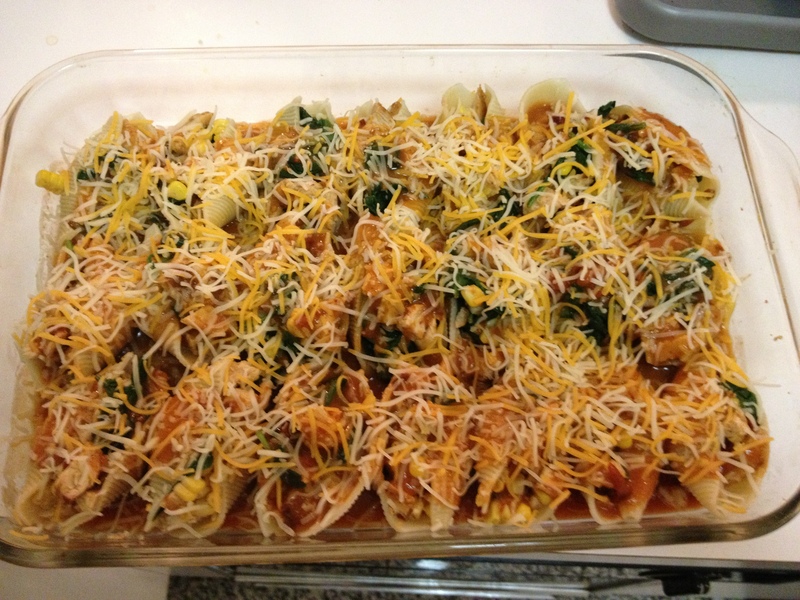 Pour the remaining of the enchilada sauce on top of the shells and sprinkle shredded cheese on top. Cover the dish with foil and bake for 20 minutes. Remove the foil and broil for the final 5-10 minutes to brown the cheese. 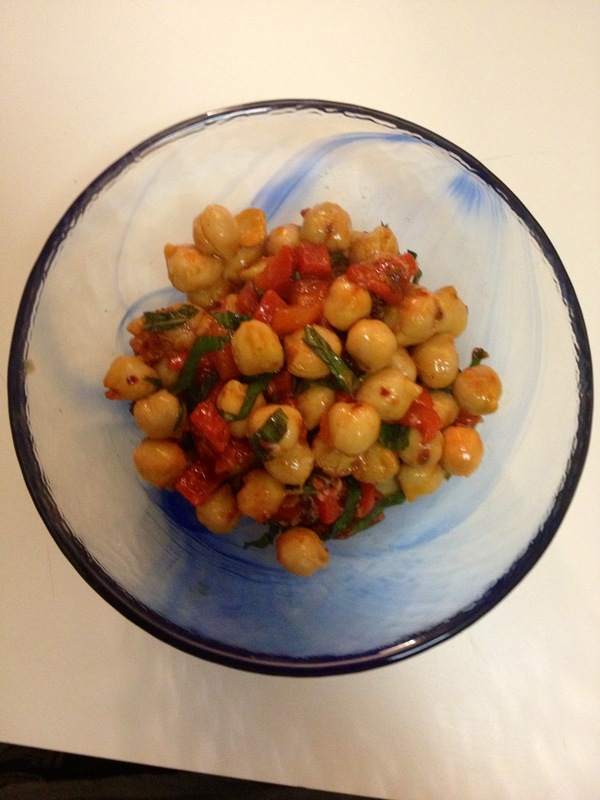 Garnish your dish with chopped cilantro and you are ready to wow your loved ones! 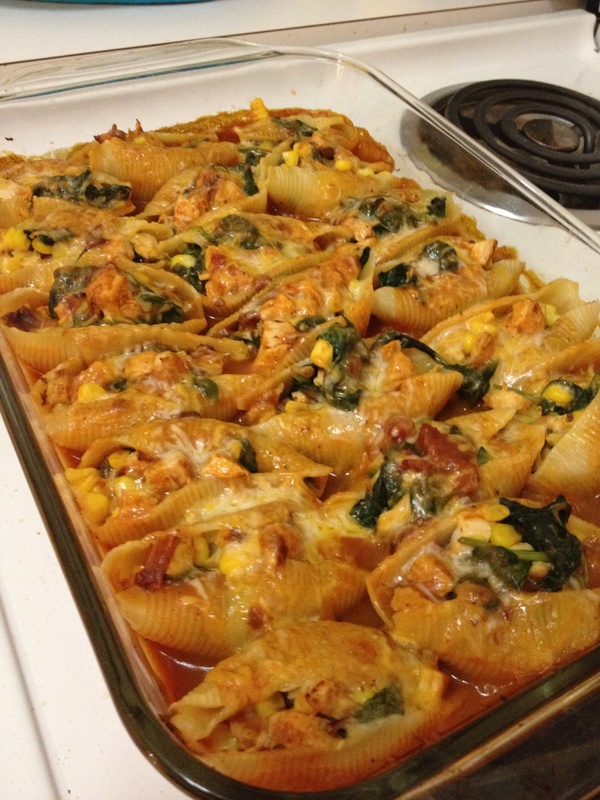 How do you usually prepare stuffed shells? 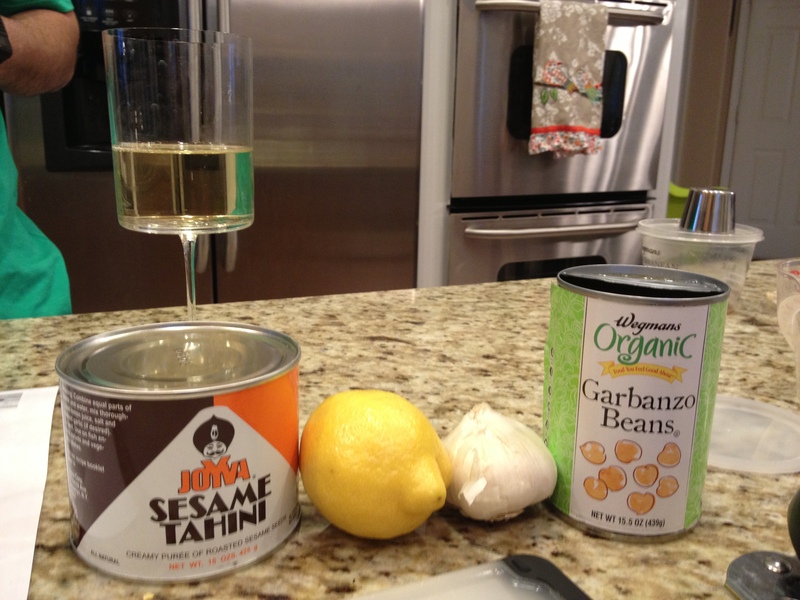 Do you have a favorite Mexican/Italian combination recipe? 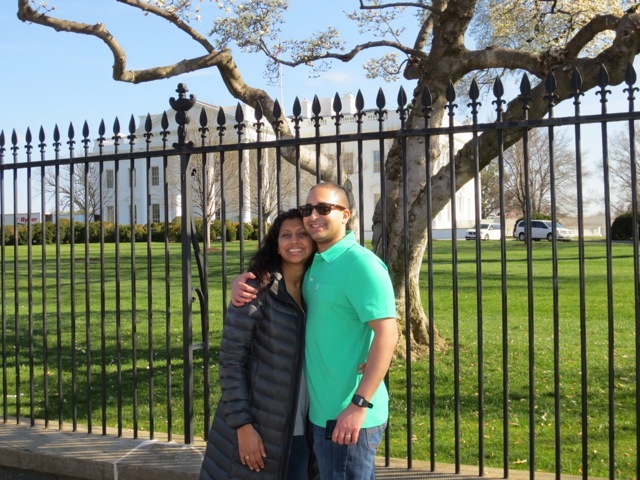 In honor of my lovely mother’s birthday today, I wanted to make sure I shared one of the recipes I prepared for her on Mother’s Day about a month ago. 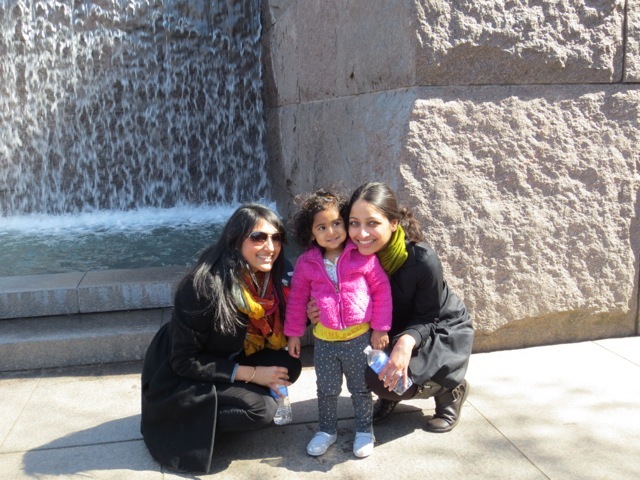 My mom is a selfless and dedicated woman. She constantly puts others before herself so this year I decided to actually kick her out of her own kitchen and prepare a lunch of light bites for her. 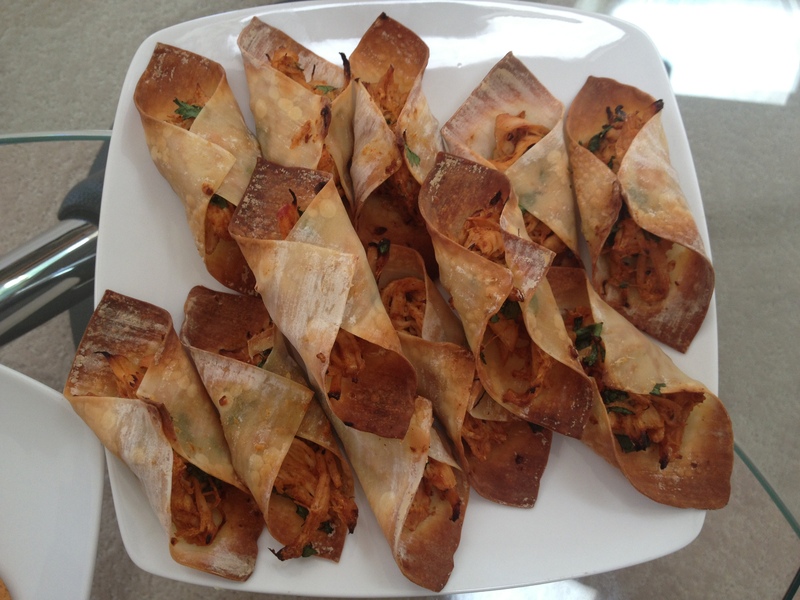 One of the favorites of the afternoon were the chicken wonton tacos. This dish has chit. 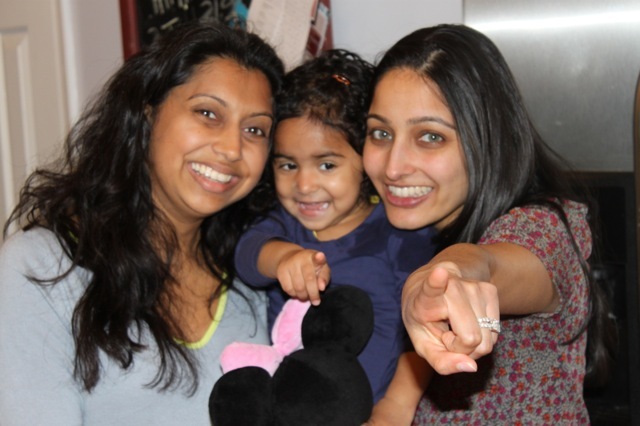 chaat. chew. written all over it — quick, easy, and delicious. I suggest you make this at your next get together with friends and family. 1.) Fill a pot of water and add chicken breasts. Poach chicken until cook through. 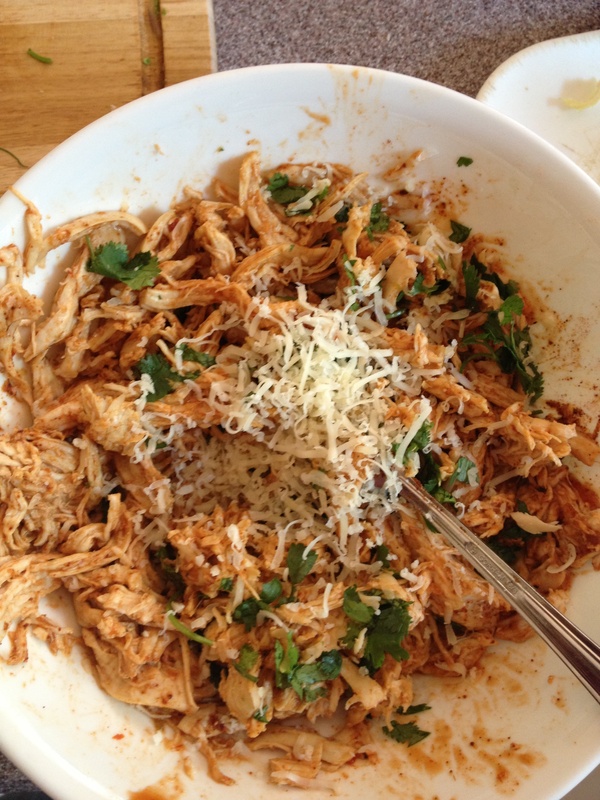 Shred chicken with a fork and knife and add to a bowl for mixing. 2.) Preheat oven to 400 degrees. 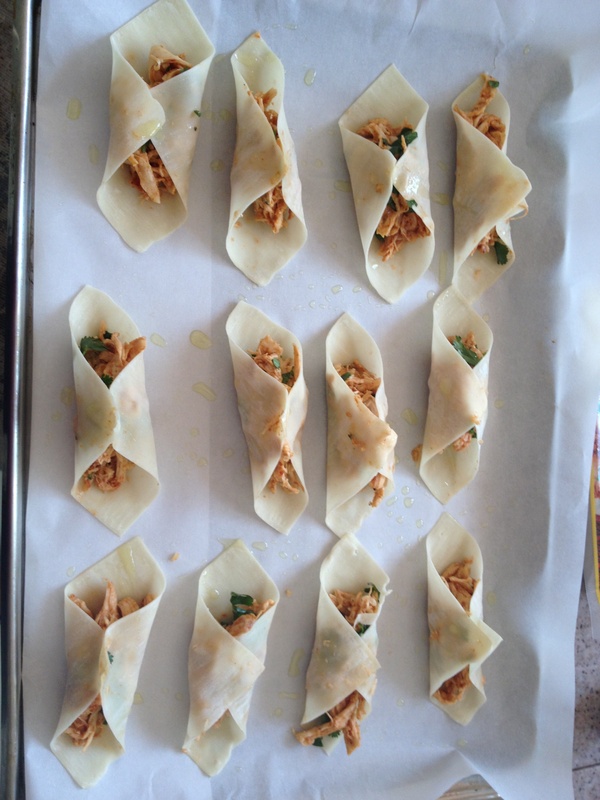 Combine chicken, BBQ sauce, soy sauce, sesame oil, cilantro, and mexican cheese and mix thoroughly. Add salt, pepper, and red pepper to taste. 5.) 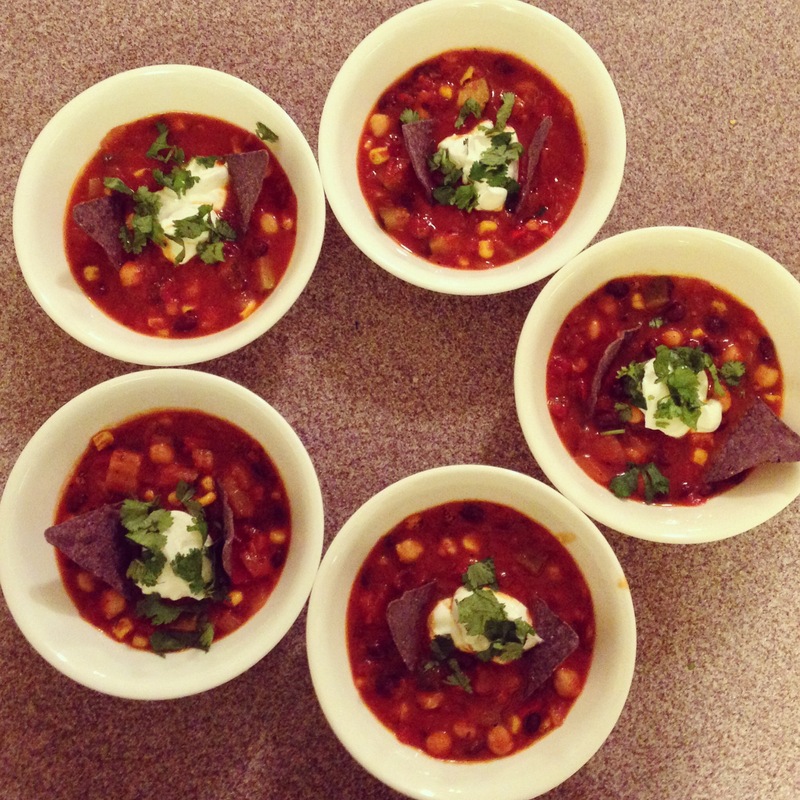 Serve with your favorite salsa, guacamole, sour cream, or hot sauce. 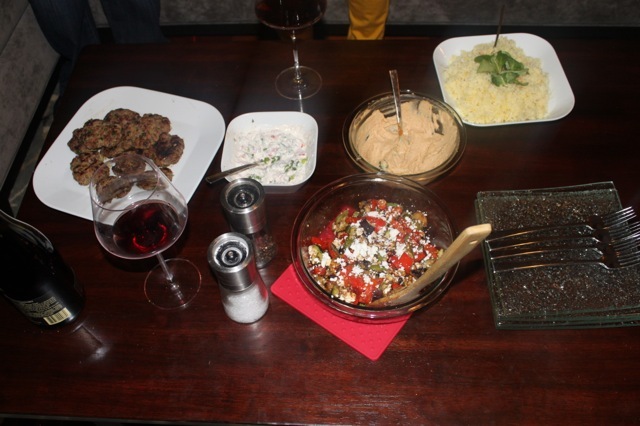 My mom fell in love with the recipe so much that she made it for her friends the following weekend and it was a hit. 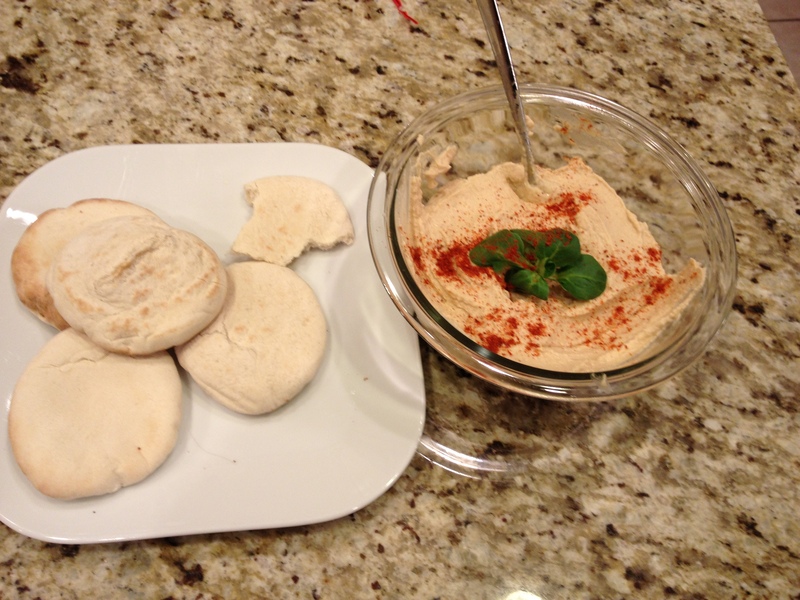 What is your favorite quick, easy, and delicious appetizer to make and is mother approved? I am not a baker. My previous attempts to bake birthday cakes or keep an eye on the oven for my former roommate have all failed. I’ve failed for two reasons — you need a extreme precision with measurement, and patience to time things perfectly, and quite frankly, “ain’t no one got time for that!” However, after learning to make biscotti during Christmas from the go-to baker, Mommy Singh, I wanted to make another attempt all on my own. My lack of sweet tooth led me to this recipe on Smitten Kitchen. 1.) 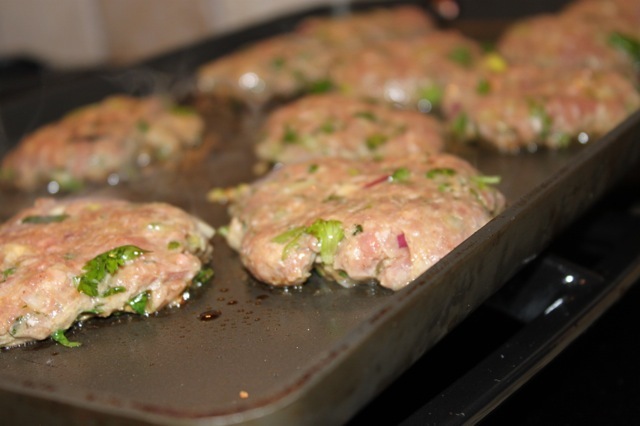 In a skillet melt 1/4 tablespoon of butter and saute the jalapenos until soft. 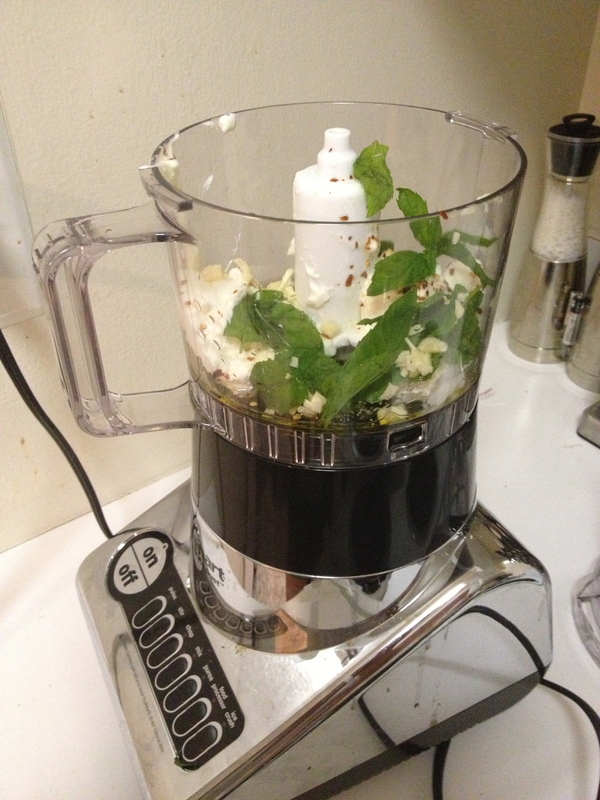 When mincing jalapenos, maintain some of the ribs for an added kick of spice. 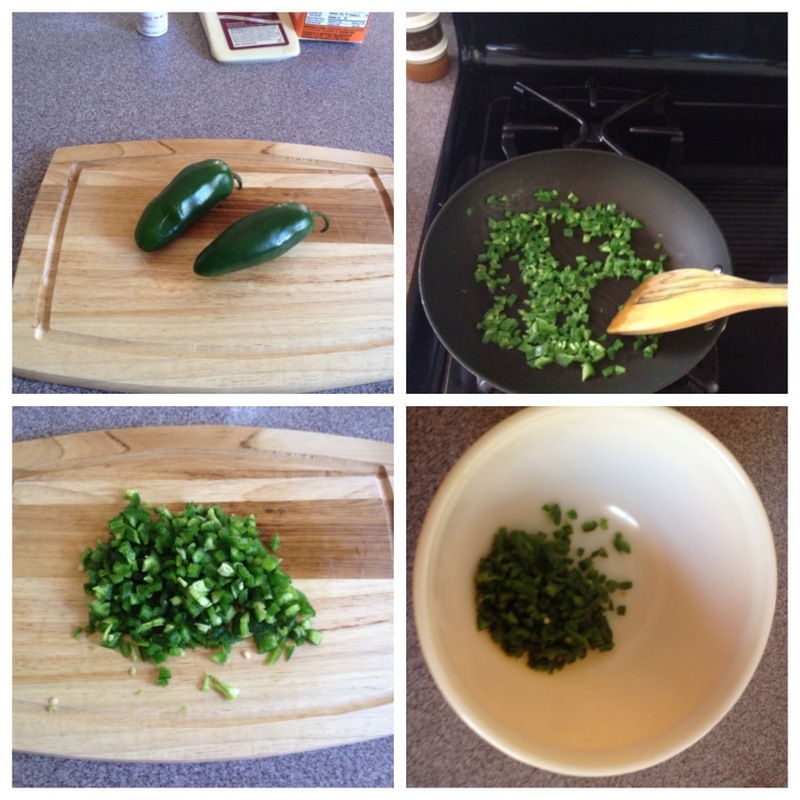 Let the jalapenos cool in a bowl with the diced cheese and 1 tablespoon of flour. 2.) Preheat your oven to 400 degrees. 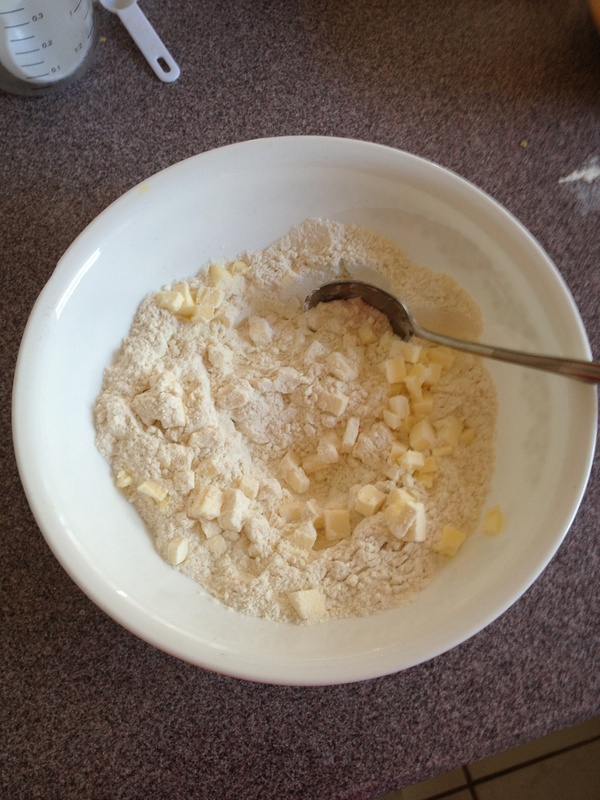 In a different bowl combine the rest of the flour, and baking powder. 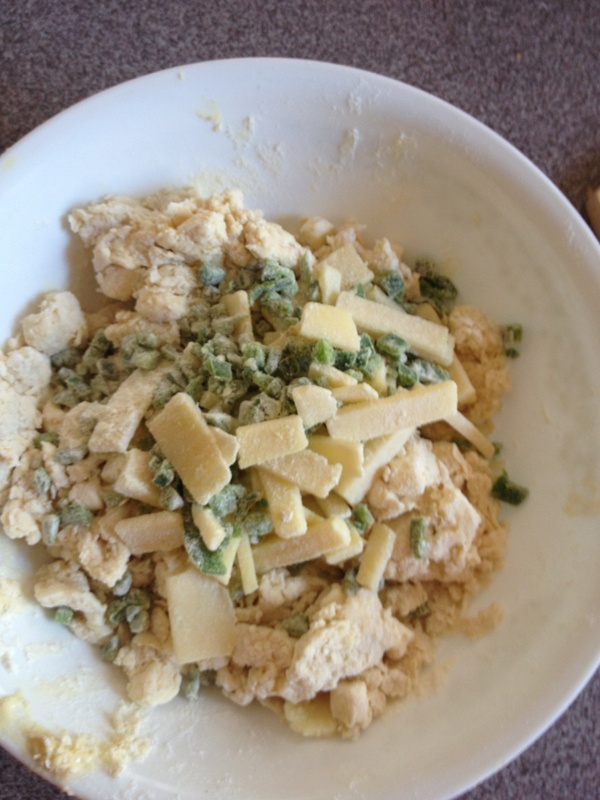 Dice the butter into small pieces to blend well with the flour easily. 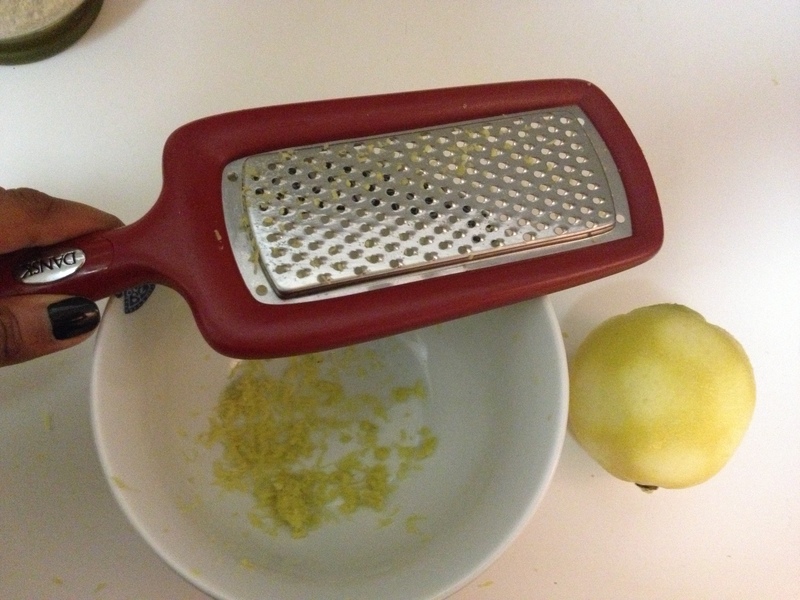 A pastry blender or two knives would have been helpful. 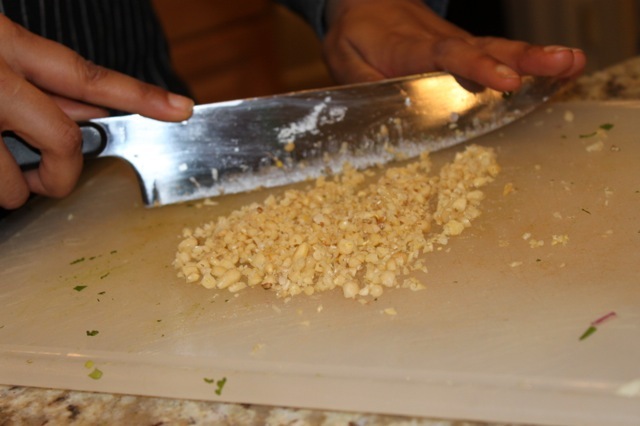 I went the old school route and shopped up the butter which added more time to the prep. 4.) 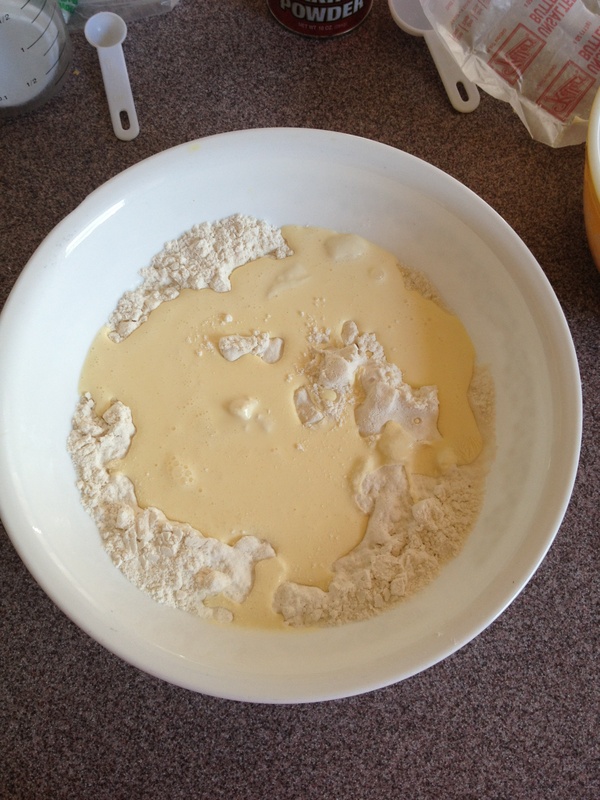 On a clean counter, flour the surface and begin to knead the dough gently. This should take about a minute. 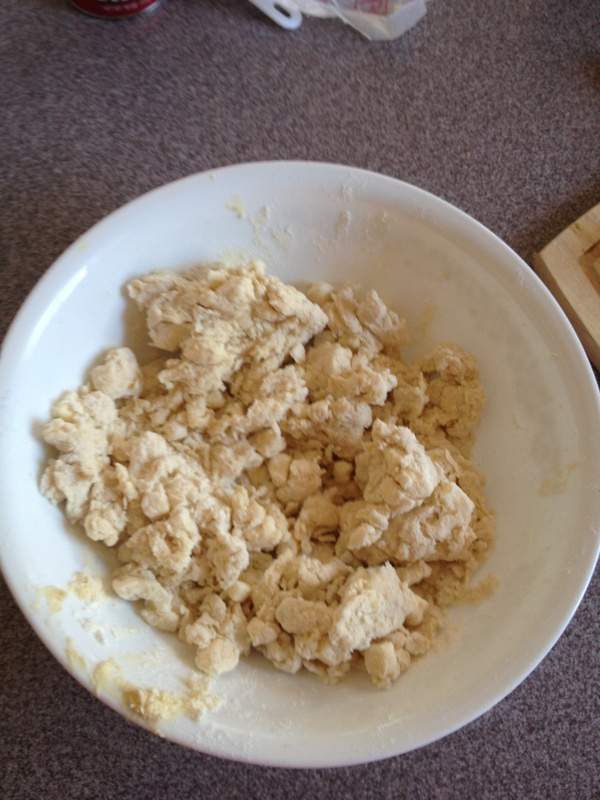 Do not over knead as the dough will become too flaky to work with. 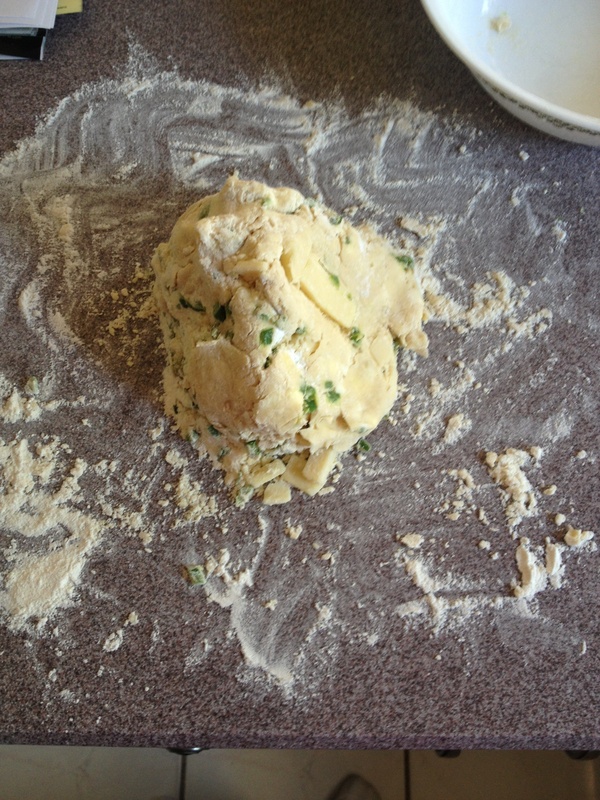 Use a rolling to in to pat the dough down to a 1 inch thickness. 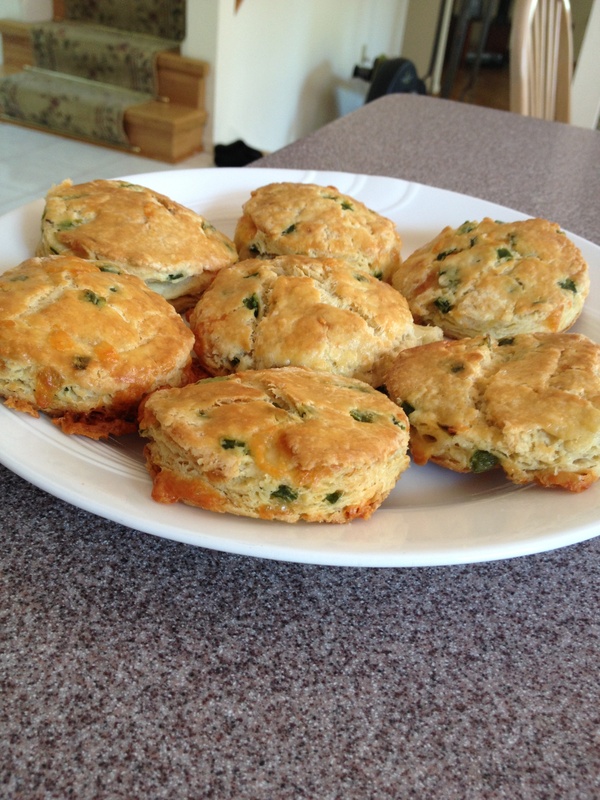 Using a small metal cookie cutter you will be able to make about 12 scones. 5.) Create an egg wash with the last egg and a teaspoon of water. Brush the egg wash onto each scone. 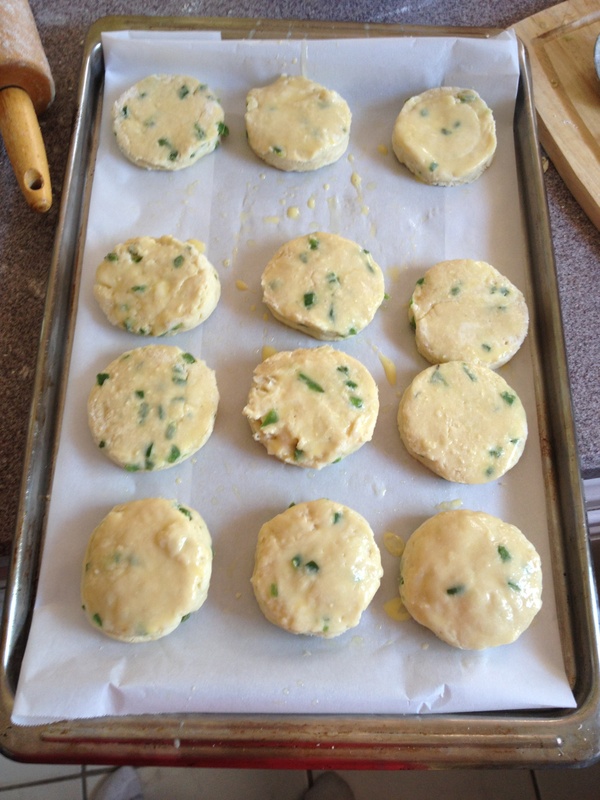 Place the scones on a cookie sheet lined with parchment paper that is well oiled. This will help the scones bake evenly, not stick, and the clean-up portion of this baking project. Bake for about 25 minutes or until golden brown. A picture is worth a thousand words and one of these words includes “success!” My first baking adventure is now checked off my “to-do” list. Do you enjoy the precision involved in baking? 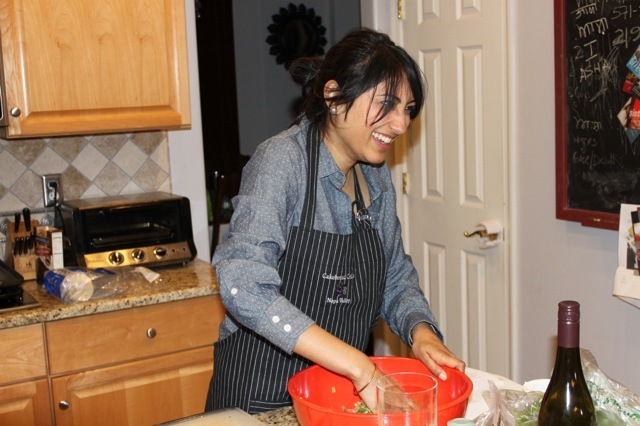 What is your favorite dish to bake for your loved ones?